The community was named for W. Creighton Lee, who in 1879 built a tannery along Cedar Run about 7 miles (11 km) upstream of its confluence with Pine Creek at the village of Cedar Run. Daily stagecoaches carrying mail and passengers connected the two villages in the 1880s. 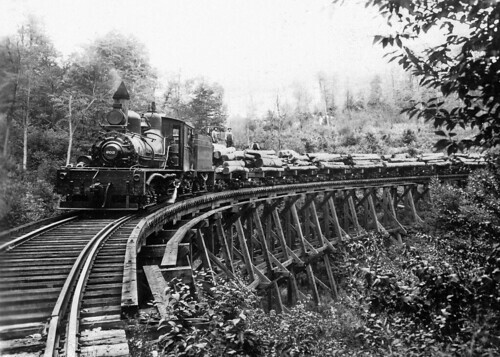 Wagons hauled lumber and tanned leather to the Cedar Run station on the New York Central Railroad line through the Pine Creek Gorge. 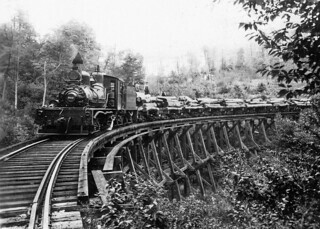 In 1899, a new line, the Leetonia Railroad, linked Leetonia more directly with the New York Central at Tiadaghton, about 10 miles (16 km) north of Cedar Run along Pine Creek. Shay locomotives provided the power on this mountainous spur line.